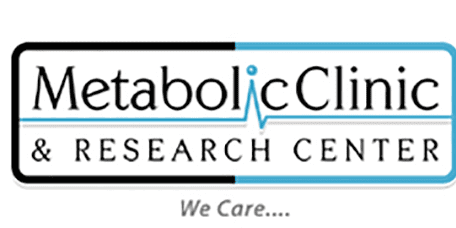 A unique benefit at the Metabolic Clinic & Research Center is the availability to participate in clinical research trials. These trials will be open to various patients throughout the Boyle Heights and the Los Angeles area and can offer people the chance to try new medications and treatments under development. A clinical study is a form of research which utilizes human volunteers, or participants, which is designed to develop medical knowledge. A type of clinical study is a clinical research trial. In a clinical trial, participants are given specific instructions according to the research being done, created by the researchers. These instructions or tasks may be to use certain medical products, such as medications or devices, to undergo procedures, or to change their behavior such as a diet. Clinical trials can be used to compare a new clinical approach to one previously used or to a placebo which has no active ingredients. Or, they may compare results to the use of no treatment at all. The tests typically attempt to determine if the new approach or product is safe and/or effective. For instance, a medication or treatment may be given to participants who have high blood pressure to see whether it makes the blood pressure decrease. Clinical trials are frequently used in drug development in order to prove the medication is effective and comes with few nonthreatening side effects. People can be eligible to participate in a clinical trial and may be able to try experimental drugs or devices for a medical condition they are dealing with. The length of a clinical study will vary depending on what topic is being researched. Participants are informed about the study’s duration prior to enrolling in the trial. Who Can Partake in a Clinical Study? Clinical studies will have instructions which will detail who can participate in the study. These are called eligibility criteria and will be available through the group conducting the study. Some research studies ask for participants who have the condition or illness which is being studied, while other studies will require healthy participants. Some studies are created for a very specific group of people which is determined before the study begins. The factors which allow a person to participate in a clinical study are inclusion criteria and the factors which disqualify a person from participating are exclusion criteria. These are typically based on items like gender, age, type and stage of a disease, former treatment history, and other medical conditions present.